Cottage Flowers, located on Orritor Street in Cookstown, is a popular wedding floristy business. Owner Sonia offers prospective clients ample experience and a keen, professional eye in floral artistry. Having taken over the business from Brown's Florist several years ago, Sonia has continued in this thriving business with over 25 years experience. Wedding floristry being her specialty, Sonia has earned popular reputation for creating beautiful bridal flowers. Her stunning hand tied bouquets have become a hit in recent years and are only one example of her creativity. Sonia and her team work closely with her clients to ensure they create what the bride and groom are looking for on their wedding day. On consultation, colour scheme, flower choice and presentation are all considered with Sonia advising the best value for money for a given budget. Offering clients package deals, Cottage Flowers can provide bridal bouquets and buttonholes as well as floral decor for wedding ceremonies and venues, from pew-ends posies and gorgeous entryway garlands to stunning centrepieces and floral accents. For more information, Tel: 028 8676 5336 or visit us on Facebook. 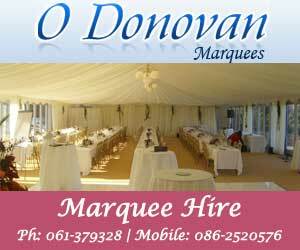 "Looking for Wedding Flowers Cookstown, Florists Tyrone, Wedding Flower Packages Tyrone, Bridal Flowers Cookstown"